This alarm clock has an LCD display, so it could show a lot of helpful information like weather and music settings, perhaps even personal assistant searches from Alexa. But the main draw is the Red Alert alarm, which may provide some much-needed urgency when it comes to getting out of bed in the morning. There’s an array of buttons on top, but I made the only button that matters – the Snooze button – front and center. This alarm also sits on a Lazy Susan, so it can swivel in place just like Picard’s personal computer in his ready room. Here is a power bank for Trekkies! 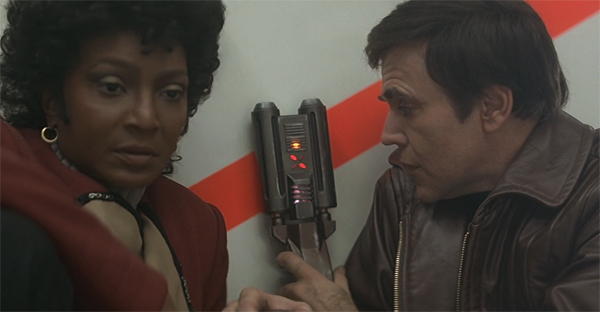 It is based on the thingy from Star Trek IV, where Pavel Chekov does the sci-fi equivalent of siphoning gas. I wanted this to be comparable in size to existing power banks, while at the same time be a life-size prop for cosplay, so I made the handle detachable. Spring is here, so I thought it would be fun to make a geeky tent design that would be perfect for all of your away missions: I present a tent design based on the shuttlecraft from Star Trek. It’s not such a far-fetched idea; Star Trek V began with Kirk, Spock, and McCoy camping in the great outdoors.